Steve Silberman is an award-winning science writer whose articles have appeared in Wired, the New Yorker, theMIT Technology Review, Nature,Salon, Shambhala Sun, and many other publications. He is the author of NeuroTribes: The Legacy of Autism and the Future of Neurodiversity (Avery 2015), which Oliver Sacks called a “sweeping and penetrating history…presented with a rare sympathy and sensitivity.” The book became a widely-praised bestseller in the United States and the United Kingdom, and won the 2015 Samuel Johnson prize for non-fiction. A glistening spaceship, with seven lonely years and billions of miles behind it, glides into orbit around a softly-hued, ringed planet. A flying-saucer shaped machine descends through a hazy atmosphere and lands on the surface of an alien moon, ten times farther from the Sun than the Earth. Fantastic though they seem, these visions are not a dream. For seven years, the Cassini spacecraft and its Huygens probe traveled invisible interplanetary roads to the place we call Saturn. Their successful entry into orbit in the summer of 2004, the mythic landing of Huygens on the cold, dark equatorial plains of Titan, and Cassini's subsequent decade-long exploration of the Saturnian environment have become the stuff of legend. What they have shown us, and the images they have collected, are still being closely examined in the pursuit of invaluable scientific insights on the nature of this very remote planetary system. Come along for the ride, and witness the sights and magic worked by these emissaries from Earth to the enchanting realm of Saturn. Popular beliefs abound about how our brains work, and we’re all experts when it comes to our own minds. Or are we? Do we only use 10 percent of our brains? Does drinking alcohol kill brain cells? Can puzzles like Sudoku keep mature brains young? Neuroscience research shows us that we’re not very good at understanding our own brains. This talk will explore the neuroscience of everyday life through brain myths and mysteries, replacing false conceptions with scientific findings and the great lessons that we can draw from them. Combining a love of music with scientific curiosity, Dr. Indre Viskontas Indre Viskontas is a cognitive neuroscientist and soprano pioneering the application of neuroscience to musical training at the San Francisco Conservatory of Music. She is also an Adjunct Professor of Psychology at the University of San Francisco. In addition to her work as a professional singer and educator, she has published more than 35 articles and book chapters on memory and creativity. Defying traditional career boundaries, Dr. Viskontas spends much of her time performing as an opera singer, most recently covering the title role in Pasadena Opera’s Susannah and playing Musetta in La Bohème, Micaëla in Carmen and both the Countess and Susannah in Le Nozze di Figaro. She often works with living composers and has created roles in three contemporary operas, as well as commissioned and premiered numerous vocal chamber music works. A passionate science communicator, she co-hosted the docuseries Miracle Detectives on the Oprah Winfrey Network and her science podcast, Inquiring Minds boasts more than 4 million downloads. She has appeared on The Oprah Winfrey Show and several major radio stations across the US, including the popular NPR program City Arts & Lectures in the US and The Sunday Edition on the CBC in Canada. Her ongoing collaborations include projects with internationally-acclaimed artist Deborah Aschheim, with whom she has created art pieces highlighting the interplay between memory, creativity and the brain, and a multi-media project exploring the interplay between musical ensembles and empathy, funded by a grant from the Germanacos Foundation. She is a sought-after public speaker, an editor of the journal Neurocase and her 24-lecture course, Essential Scientific Concepts, was released by The Great Courses in 2014. Her second course, Brain Myths Exploded: Lessons from Neuroscience will be released in 2017. Homo erectus is one of our ancestors that goes under most people's radar, but it is one of the most sublime in its demonstration of human evolution. Most science types know about “ape-men” (Ardipithecus and Australopithecus), "cave-men" (Neanderthals), and Ice Age humans with their beautifully flaked spearheads and cave paintings, but few know about the transitional form in between: the half-human user of simple tools that first spread into Eurasia about 1.8 million years ago, existing until about 800,000 years in Africa, and later in Eurasia until it was replaced by more modern forms from Africa. What did these early humans look like? How did they behave? What was their culture like? How have recent discoveries helped us piece together their story? Dr. Gilbert, a Homo erectus specialist, will describe his experiences hunting and finding Homo erectus fossils in Africa; he will help us to understand this fascinating period of human prehistory. Gene editing is coming of age. It has been used to cure children with Severe Combined Immunodeficiency, aka “bubble babies,” and is being used in trials to treat cancer and other diseases. Current technologies are complicated and are used to edit adult cells; the altered genes cannot outlive the patient and cannot be passed on. But now, scientists have developed CRISPR, a new gene-editing tool that has the potential to completely revolutionize the way we think about—and ultimately treat—genetic disorders. For scientists, it is cheap and easy to use, allowing them to do things they’ve only dreamed about in the past. What if researchers could eliminate the gene that causes Huntington’s Disease in embryos, and free families from that disease for all future generations? However, some worry that CRISPR has a darker side: one that could lead to designer babies, affecting genes that control if a child is blond or has blue eyes, even to boost genes that are thought to control intelligence in people. That has led some to call for a halt in using CRISPR for some kinds of research, and for others to say that kind of moratorium is just a thinly veiled attack on science. Jeff Sheehy looks at both sides of the debate and explores the potential, and the perils of gene editing. For a while skeptics have been offering prizes for anyone who could demonstrate paranormal powers. Recently the San Francisco Bay Area chapter of the Independent Investigation group administered a test for a $100,000 prize. The workshop will discuss the kinds of claims that applicants make and the the kinds of issues that arise in negotiation of the test protocol. The audience will be asked to “negotiate” a protocol with a recent applicant (played by the presenter) and the results of the recent test of that applicant will be presented. He received a PhD in theoretical Computer Science in 1974 from Syracuse University. He moved to California in 1989 and worked in a series of unsuccessful start ups and in one large company. Retired in 2007. He has been a subscriber to Skeptical Inquirerer since the mid 80’s and has been actively involved with Center for Inquiry for ten years. He founded the San Francisco Bay Area branch of the Independent Investigation Group in 2008. Recently enacted legislation, SB 277, makes California's school vaccination requirements among the strictest in the nation, rivaled only by Mississippi and West Virginia. Passed shortly after the winter 2015 Disneyland measles outbreak, the law eliminates the Personal Belief Exemption, making vaccination a requirement of school entry for all CA children in childcare and K-12 except those with medical exemptions. Is it realistic to think that in the near future almost all school-aged children in CA will be fully vaccinated? What political, structural and philosophic obstacles are currently at play that may make this vision harder to achieve? What can parents, school districts, the public health community, and concerned citizens do to move us toward the goal of a fully vaccinated California? 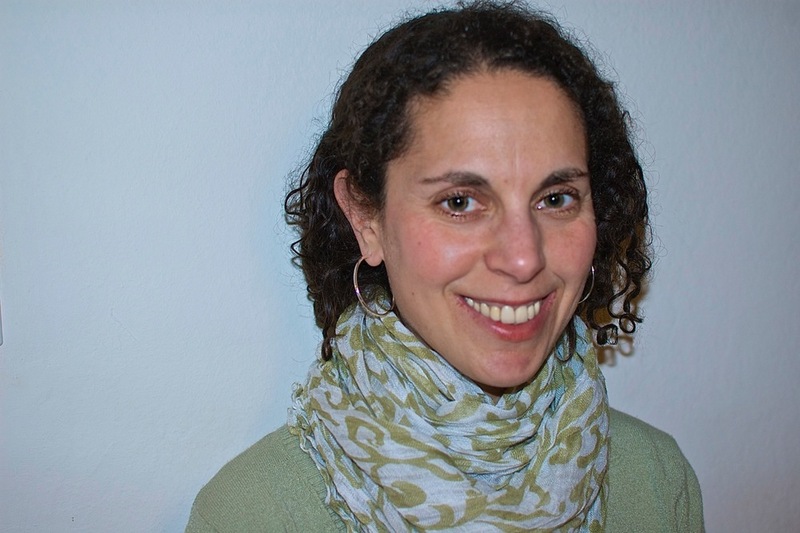 Debra Berliner holds a BA from Brown University and a Masters in Public Health from UC Berkeley. For the past thirteen years, she has worked in public education, program development, and program management in both the non-profit and governmental sectors. Her public health trajectory began with an internship with the New York City Department of Public Health's Bureau of Immunizations and took her to her current position with the San Francisco Department of Public Health. She serves as part of its Communicable Disease Prevention Program where she primarily focuses on removing structural and financial barriers to vaccination. She is speaking today as a private citizen who is passionate about improving immunization rates and as a mother to two young children. Her comments are her own and do not necessarily represent the views of her employer. Back by popular demand, Frank Mosher will be conducting a hands-on workshop full of fun experiments parents/grandparents/prettymuchanyone can do with children to help them experience the wonder and excitement that is so key to scientific and skeptical inquiry. Frank Mosher is the President of the Sacramento Area Skeptics, and has taught hands-on science enrichment to thousands of students in the greater Sacramento area. Ryan Kane is a full time magician and comedian thriving in San Francisco. He is frequently featured by groups who need to guarantee that their events are an unforgettable success. His extensive resume includes companies such asMicrosoft, Costco, and Intel. Ryan Kane's magic has brought him from Las Vegas to New York. He is a featured performer at casinos in Reno and at the top destination in San Francisco, Pier 39.